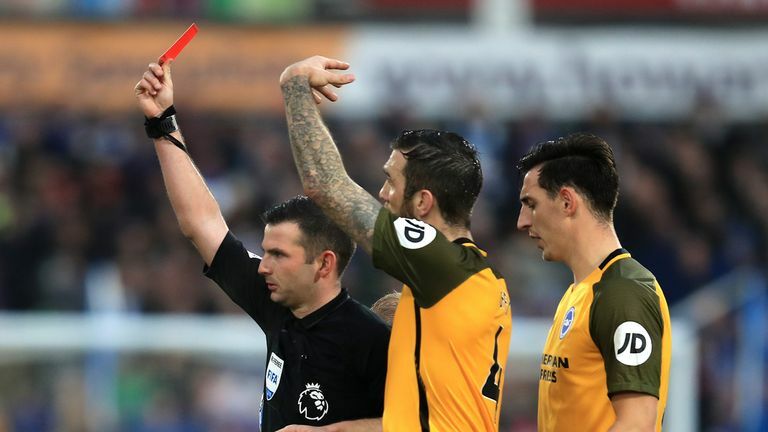 There were plenty of contentious decisions in the Premier League over the weekend, but did the referees get them right? 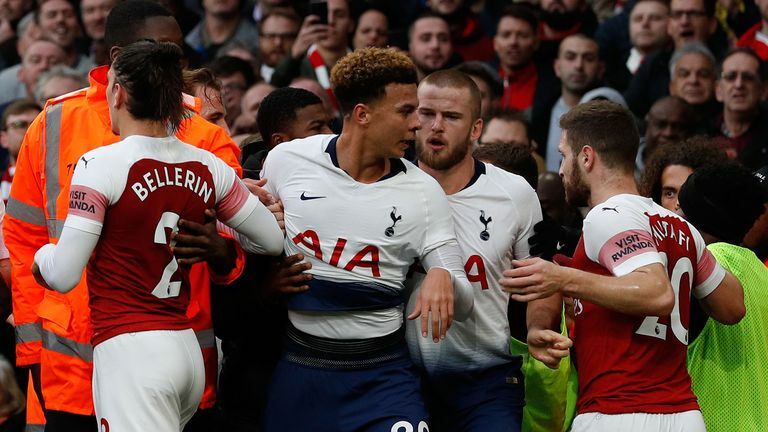 Former Premier League referee Dermot Gallagher gave his verdict on Sky Sports News, from penalty appeals in the Merseyside and north London derbies to Eric Dier's goal celebrations and whether Jurgen Klopp and Mauricio Pochettino could face punishment for actions after goals were scored. INCIDENT: Arsenal are awarded a penalty for a handball against Jan Vertonghen. DERMOT SAYS: It's a good spot and good teamwork. Referee Mike Dean wasn't sure but his assistant had the headset and between them they got the decision right. The assistant has the best view and he has stood up and been counted. INCIDENT: Eric Dier is booked after scoring for Tottenham and then seemingly provoking a ruckus by putting his finger to his lips towards the Arsenal fans. Spurs boss Mauricio Pochettino runs down the touchline in an apparent attempt to try to calm things down. VERDICT: Understand Dier booking, but Poch did nothing wrong. DERMOT SAYS: With Dier it's about has he provoked a reaction and it's difficult to say who has provoked what. I can understand Mike Dean giving Dier a yellow card and then it all gets a bit messy and it's best to pass it to the FA. In fairness to Pochettino he has gone as a peacemaker, he shouldn't go there but I don't think he has done anything to inflame the situation. I don't think he's done anything wrong. MILLS SAYS: Dier didn't actually do anything wrong, he didn't leave the field of play or go to the fans. He was harshly treated. 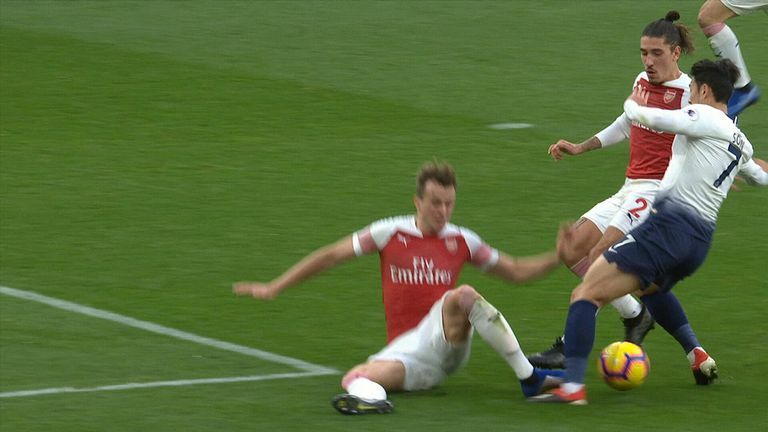 INCIDENT: Tottenham win a penalty as Rob Holding slides in on Heung-Min Son. DERMOT SAYS: I can understand why the referee gave it, but I don't think it's a penalty. If it's felt he has gained an advantage by going to ground unnecessarily then it can go before the FA's three-man 'deception panel' and they have to vote 3-0 and he could be suspended. I don't think it's a dive, I think he's tried to avoid the contact, checked back and then gone over. I don't think Son has dived so I don't think it will get processed. 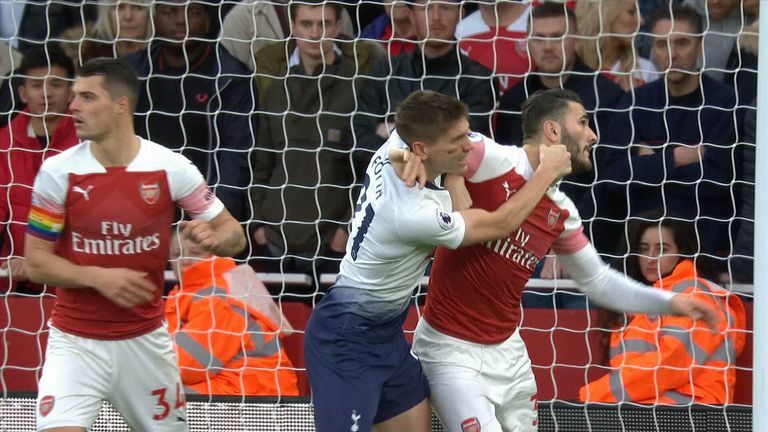 INCIDENT: Sead Kolasinac avoids punishment for grabbing Juan Foyth around the neck in the box. DERMOT SAYS: I think Foyth grabs him too, if you gave a penalty you would be leaving yourself open as both players are guilty. 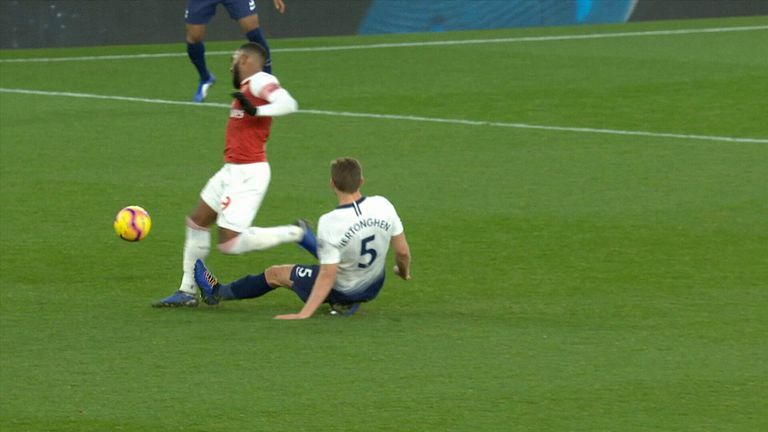 INCIDENT: Jan Vertonghen is shown a second yellow card for catching Alexandre Lacazette with a sliding tackle. DERMOT SAYS: It's certainly a foul and yellow card. He might have touched the ball but it's a foul. 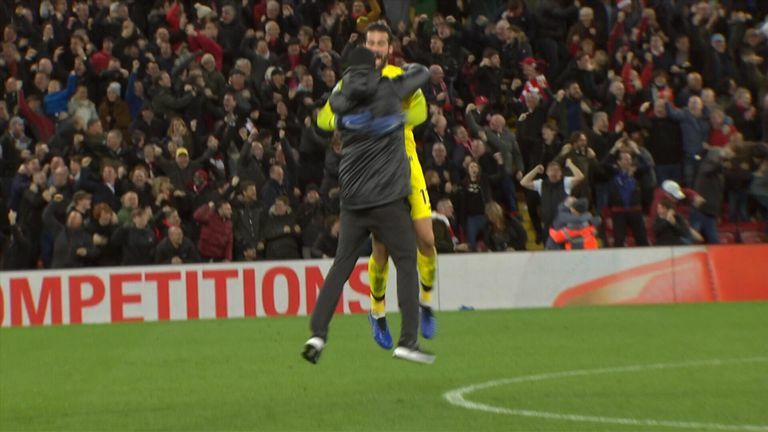 INCIDENT: Jurgen Klopp celebrates Liverpool's late winner by running onto the pitch and hugging goalkeeper Alisson on the halfway line. VERDICT: Klopp in the wrong. DERMOT SAYS: He shouldn't leave his technical area but he certainly shouldn't go on the pitch, and certainly not like that. People ask me why the fourth official didn't get involved, I think he probably did but it would be like 'Keystone Cops' if he is chasing him across the pitch. I think wait until he comes back, monitor the time, process it with the referee and then it goes to the FA this morning. Its different circumstances to Pochettino. MILLS SAYS: We want to see passion but to go beyond halfway onto the pitch to celebrate with his goalkeeper is too far. 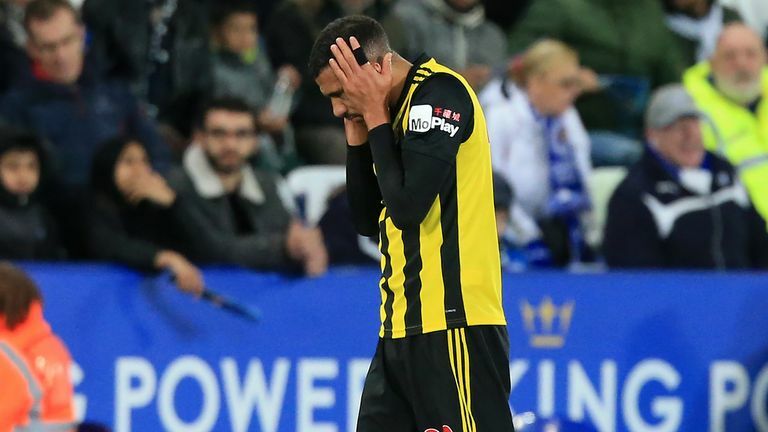 Marco Silva dealt with it very well, he didn't make a big song and dance, but you cannot go that far. Maybe you can get away with a couple of yards, but if you start saying this is just passion then where do you draw the line? Every time there's a goal do you say 'it's passion, let's all go on the pitch'? If the away manager does it then does it incite the crowd? There are laws in place for a reason, you're not allowed on the pitch and he should be punished accordingly. 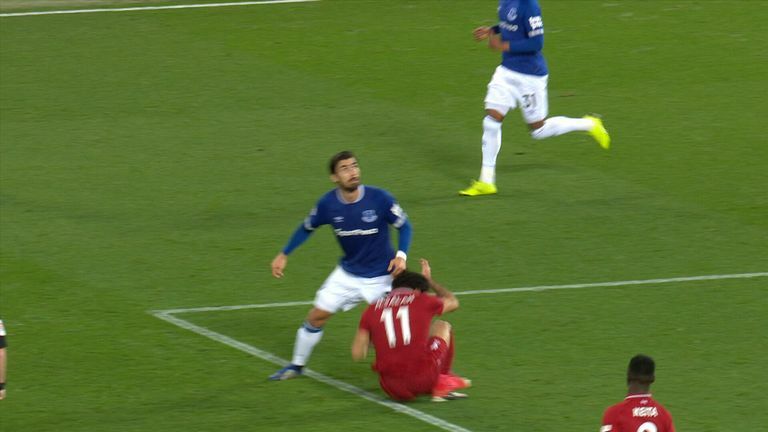 INCIDENT: Andre Gomes escapes punishment for catching Mohamed Salah with a flailing arm in the box. DERMOT SAYS: It's clumsy at worst but not a penalty. He has eyes for the ball, that's all he is looking at, it's not a penalty. INCIDENT: A shot hits Gylfi Sigurdsson on the arm in the box and no penalty is given. DERMOT SAYS: There are two issues - he doesn't go towards the ball and he turns sideways. I don't think anybody will give a penalty for that. INCIDENT: Southampton's Michael Obafemi doesn't win a penalty after being challenged by Scott McTominay in the box. DERMOT SAYS: The first angle you would be convinced he plays the ball, so I think you have to go with the referee because he can't be convinced that McTominay doesn't play the ball. 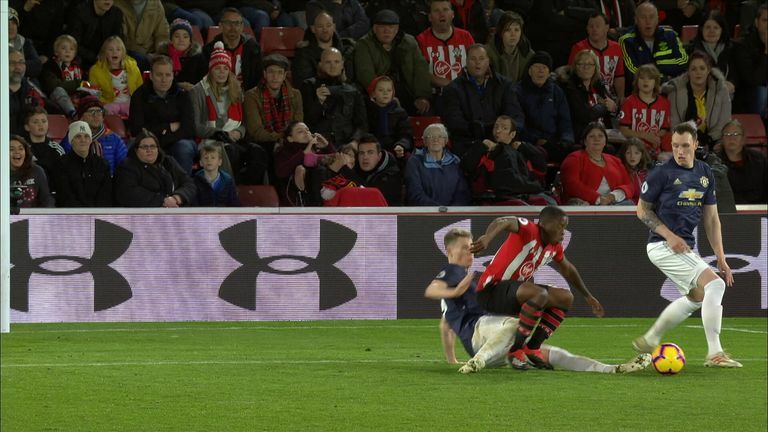 Should Southampton’s Michael Obafemi have won a penalty for a challenge by Manchester United’s Scott McTominay? INCIDENT: Manchester City's Fernandinho leaps and pushes Tyrone Mings in the back, but no penalty is given. DERMOT SAYS: All I can think is Leroy Sane comes across the view of the referee at the time because if the referee sees it - he puts two hands in his back and shoves him - he has to give a penalty. 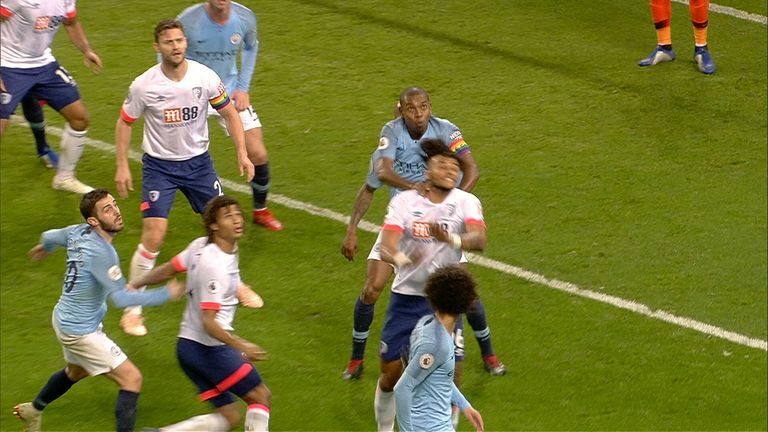 Was Manchester City midfielder Fernandinho lucky not to give away a penalty for this challenge on Tyrone Mings? INCIDENT: Huddersfield's Steve Mounie is sent off for a late challenge on Yves Bissouma. DERMOT SAYS: When I was watching it live I was astonished when the red card came out, but then I saw the replay and it is a red card. Full credit to the referee, I had to see a replay but it is a red. Referee Michael Oliver sent off Huddersfield’s Steve Mounie for this tackle on Brighton’s Yves Bissouma - but was it harsh on the striker? INCIDENT: Etienne Capoue is sent off for catching Kelechi Iheanacho with a high tackle. DERMOT SAYS: I think it's a red. He goes in with studs showing and goes through him and Iheanacho's boots are planted. 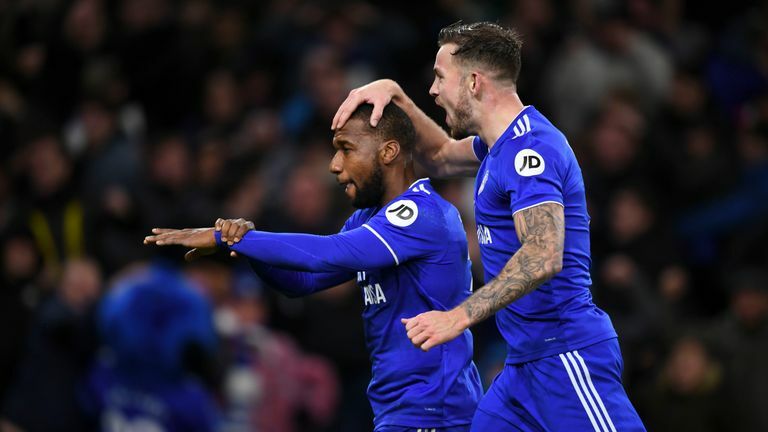 INCIDENT: Cardiff's Callum Paterson stands his ground and appears to block the path of Wolves goalkeeper Rui Patricio as a high ball drops in the box. Patricio doesn't win the ball and Cardiff score. DERMOT SAYS: I was astonished by the amount of people that said to me that this has to be a foul because he's not playing the ball. The goalkeeper has to be much stronger. INCIDENT: Scott Arfield is sent off for sliding in late on Hearts goalkeeper Zdenek Zlamal. MILLS SAYS: I made some bad tackles in my career, but there's a five-second delay before he even makes the tackle. It's unbelievable. 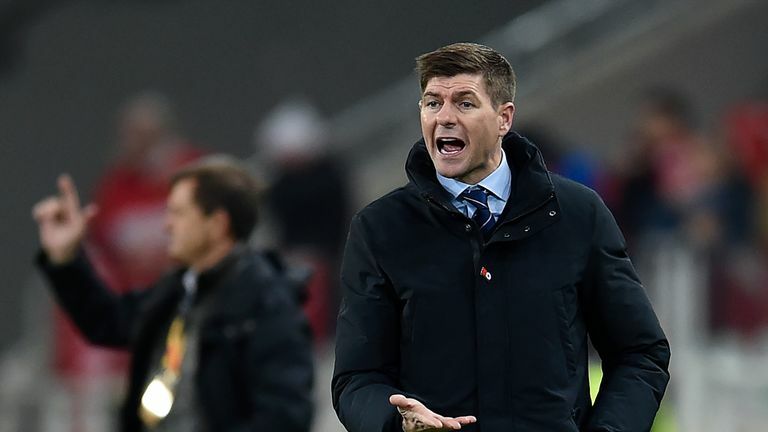 INCIDENT: Alfredo Morelos appears to be offside when he scores the winner for Rangers. DERMOT SAYS: It's just offside. It's very tight but sideways you can see it's just offside.